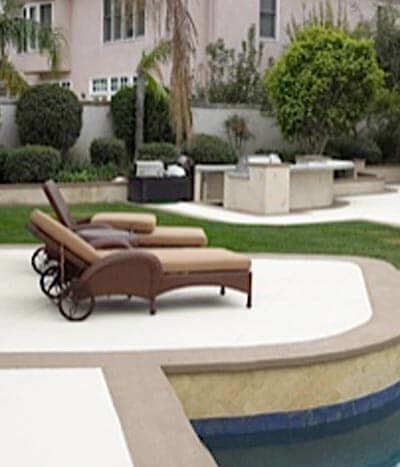 Decorative/textured coatings for driveways, pool decks, patios, walkways and other hardscape features. 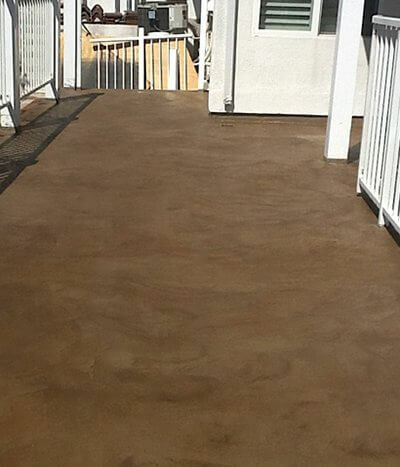 We provide the latest, most innovative waterproof deck, balcony, stairway, and elevated walkway coating systems – both functional and beautifully decorative. 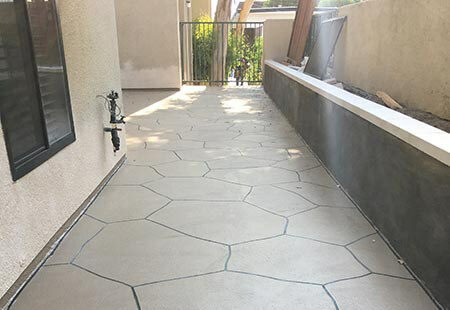 We stain, decoratively coat and texture, and waterproof driveways, patios, walkways, stairways, pool decks, garage floors, fountains, ponds, planter boxes, and other hardscape features, as well as interior and exterior floors. We install roof waterproofing and Title 24 compliant roof coatings. 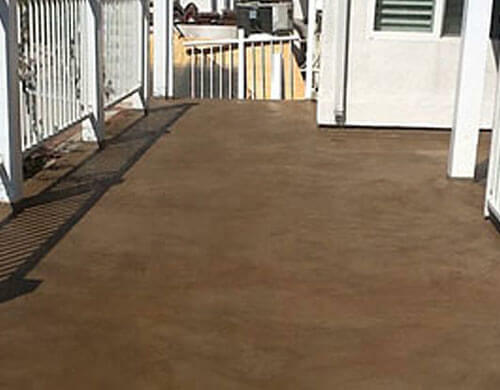 In addition, we provide comprehensive deck maintenance and repair services, and below and above grade structural waterproofing, in conjunction with our general contracting division, General Contracting Group. 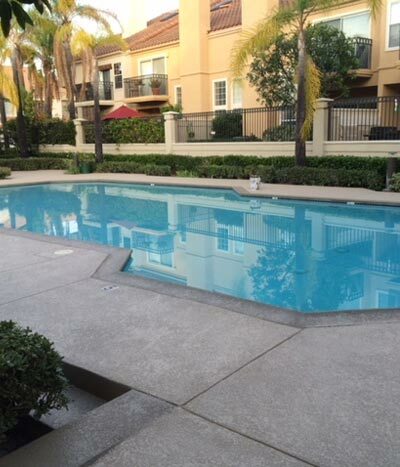 We have over 25 years of experience in the deck coating and waterproofing industry, and during this time, have provided our services to 1000's of satisfied clients throughout both Orange and Los Angeles Counties, including homeowners, condominium and apartment complexes, mobile home communities, commercial complexes, industrial facilities, motels and hotels, and theme parks throughout our service area. 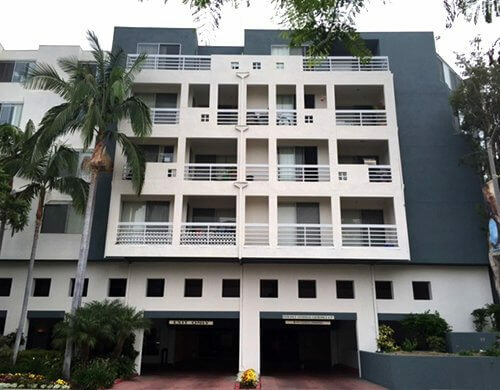 Our extensive list of clients includes the Los Angeles World Trade Center, Los Angeles International Airport, the Lafayette Building, the Sierra Towers, the L.A. Lofts, Disneyland, Knott's Berry Farm, and Universal Studios. 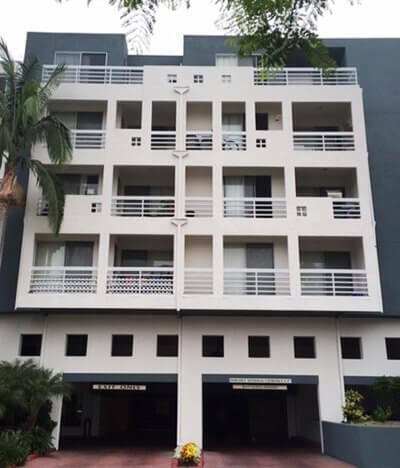 Depend upon the experienced coating and waterproofing specialists at Tuff Kote Systems for both decorative and functional coating systems and expert above and below grade waterproofing services. 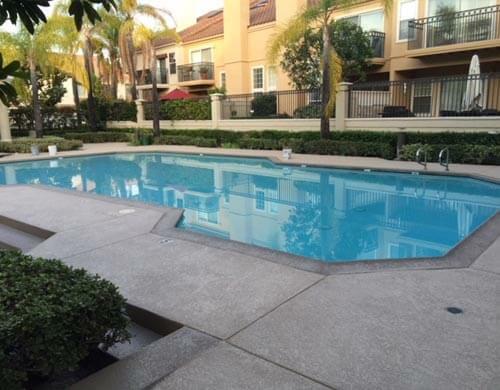 We service all of Orange County and the greater Los Angeles region. Contact us today to schedule an estimate. Our business hours are Monday through Friday, 8:00am to 4:00pm. 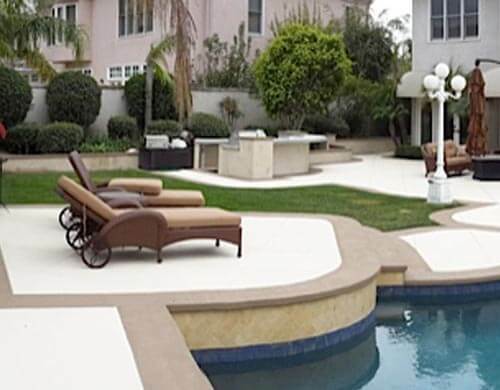 Tuff Kote Systems holds California State Contractor's License # 982528, and is bonded and insured.